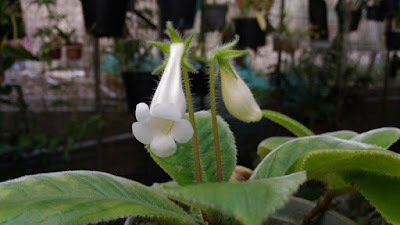 White form of Sinningia richii family from Brazil, it prefers brighter light and humidity. No scent is detected. There is a group of small rosette Sinningia which I can not find a precise adjective to define their distinctness. Sinn. Pirate's Petite Angel or Fu's Flower Fairy are the examples of this group. There are just a few varieties like these as far as I know. 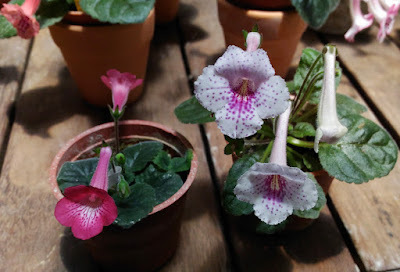 I do not study how did the other hybridizers create their lovely small mini plants but 'Pirate's Petite Angel' was made by the cross of normal miniature Sinningia. 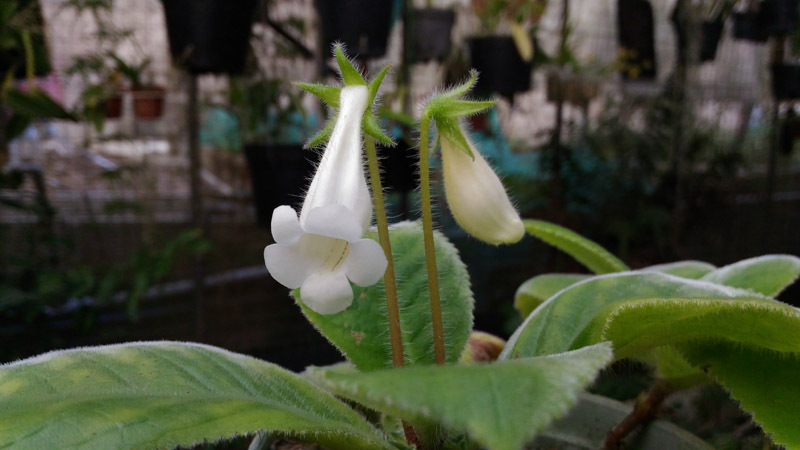 In fact I did not expect to get such smaller miniature Sinningia before 'Pirate's Petite Angel' renewed my knowledge of hybridizing Sinningia. In terms of reducing the plant size, people may go directly to use micro mini Sinningia in their hybrid project. But usually micro mini Sinningia is sterile when they meet miniature Sinningia due to the issue between tetraploid and diploid. 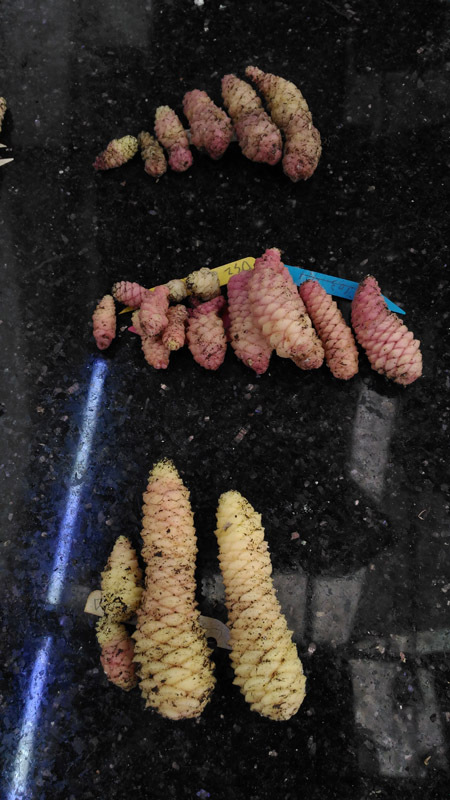 My opinion for long term hybridism is to select some small miniature Sinningias as seed or pollen parent in this case, and see if it's possible to get even smaller seedlings from such combination. I presume the character of 'small plant size' can be caught generation after generation.